This is an artist’s impression of the quasar 3C 279. Astronomers connected the Atacama Pathfinder Experiment (APEX), in Chile, to the Submillimeter Array (SMA) in Hawaii, USA, and the Submillimeter Telescope (SMT) in Arizona, USA for the first time, to make the sharpest observations ever, of the centre of a distant galaxy, the bright quasar 3C 279. 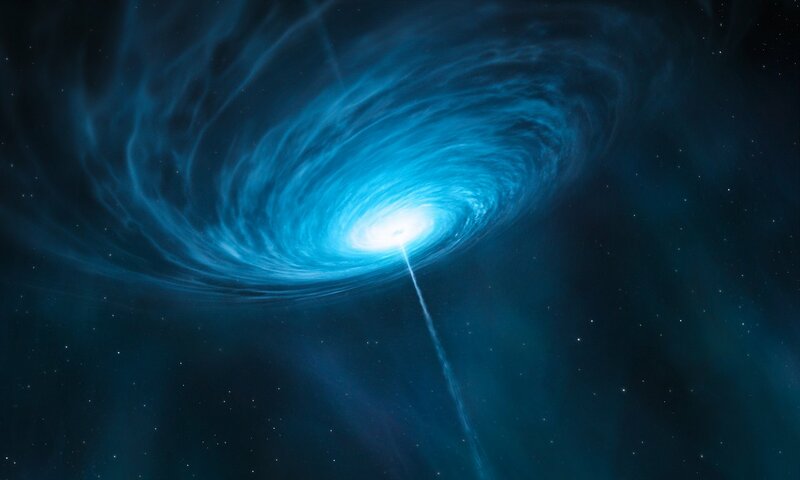 Quasars are the very bright centres of distant galaxies that are powered by supermassive black holes. This quasar contains a black hole with a mass about one billion times that of the Sun, and is so far from Earth that its light has taken more than 5 billion years to reach us. 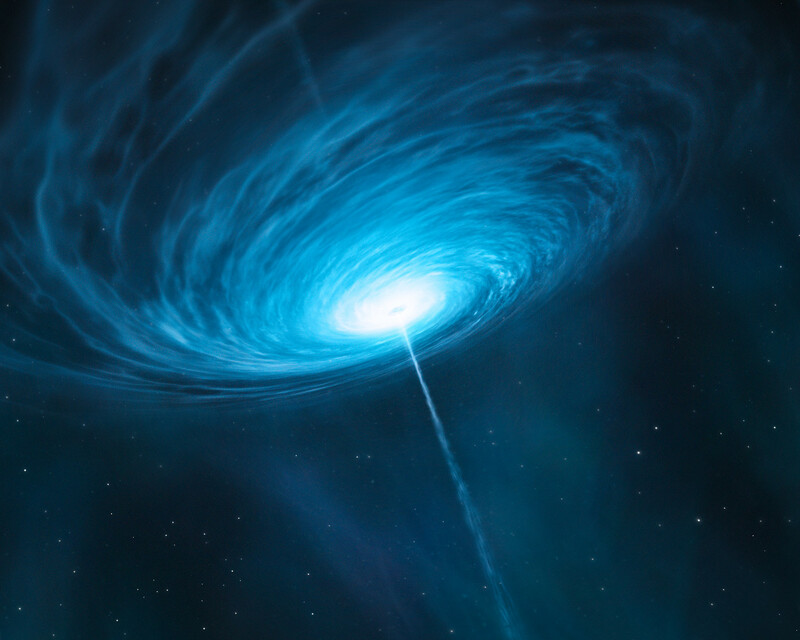 The team were able to probe scales of less than a light-year across the quasar — a remarkable achievement for a target that is billions of light-years away.